Do you feel that you need to express your Rage or Anger in a safe way? Do you find yourself suppressing your emotions for fear that they are “too much?” Or do you project your anger towards others through “outbursts” and regret it later? Would you like to learn how to tap into the creative power by transmuting the destructive? Rage and Anger are greatly misunderstood and it is often discouraged from being expressed. The fiery nature and all-consuming effect on our psyche often means that we refrain from meeting it fully in our lives. In our society and in our upbringing it is discouraged to express and it is so consuming that we learn to fear or suppress it. When we are triggered it can come out in weird ways through resentment, passive aggression, angry “outbursts” or even a fury of rage. It builds pressure in our bodies through years of suppression which can manifest itself by becoming a destructive force in our lives, relationships and mental, physical or emotional health. When we honour our Anger or Rage and allow it to be expressed in a safe and healthy way, this allows us to tap into the great wisdom and power that is underneath it. This can be vital for Womens health and wellbeing as it can help to relieve depression and anxiety as well as a number of physical conditions including migraines, fatigue, liver conditions, digestive issues and more. Through the sacred ceremonial space and connection of women in circle, we can tap in deeply into our internal mystery and connection with our bodies, ancestors and Mother Earth. Many of us carry the wounding and unprocessed anger or rage from our own lives, ancestral lineage, the collective feminine as well as Mother Earth. While screaming or punching into a pillow can be healthy, it merely releases the steam out of the pressure cooker rather than getting to the bottom of it. 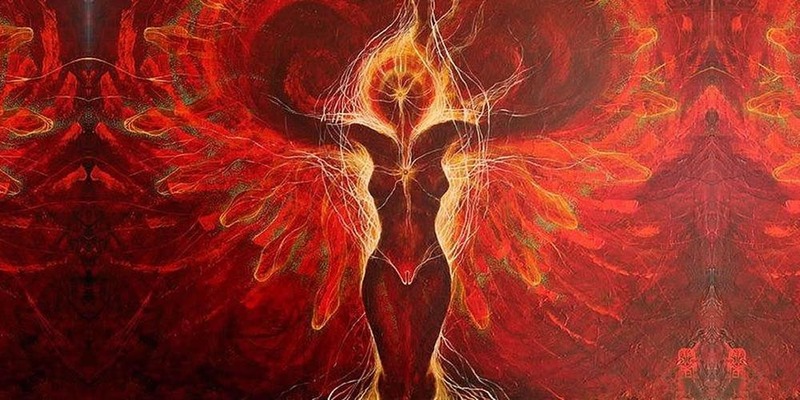 We will use the tools of breath, sound, drumming and movement to connect to our primal nature, our feminine essence and with the root of our Rage and allow it to move through us. This Sacred Ceremony is a very powerful container for you to meet with and step fully into your own fire, your own power and develop a healthy relationship with your Anger and Rage. You can feel empowered to develop healthy boundaries, finding the discernment between your true “Yes” and “No” with yourself and with others. The benefits of releasing what has been carried for so long can bring great relief, feeling much lighter and able to embrace life more fully, with more joy and appreciation.